After much begging and insistence from some of my friends, including one who also hated Twilight, I picked up the book two weeks ago and struggled to put it down. The story is gripping, and I think because the plot line is so far removed from reality that it suddenly becomes more fascinating. 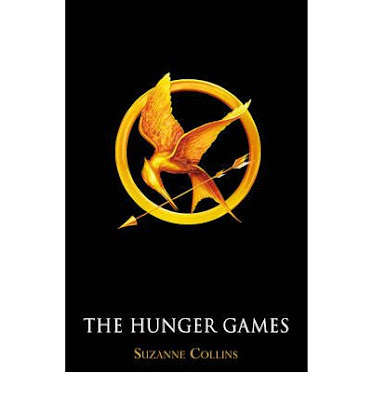 The Hunger Games, by Suzanne Collins tells the story of Katniss Everdeen, a 16 year old girl from District 12, Panem somewhere in the near future. She is selected to participate in the 74th 'Hunger Games' after taking the place of her sister. The games themselves see 24 participants imprisoned in an arena of sorts where they then must fight to the death. The last one standing is of course the winner. Next up this month is Fifi Lapin's What Shall I Wear Today. 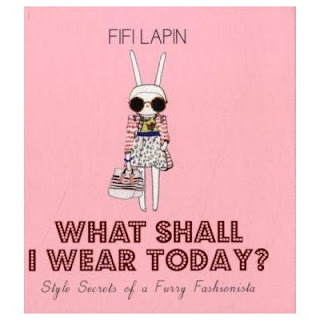 Many will know Fifi Lapin as Britain's most stylish bunny, and her tome of style secrets reinforces that. Each chapter is broken down into days of the week and focuses on an event in Fif's life that she has to dress for (e.g. A date in Paris), style tips featuring designer examples, something extra (e.g. finding the perfect lipstick shade) and closes with a designer interview featuring a look to suit Fifi's occasion. 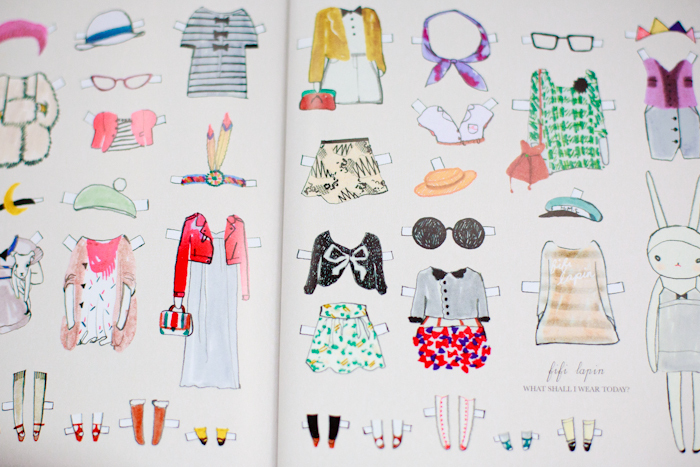 This book is cute and doesn't veer into "every girl must have X item in their wardrobe" territory. If you love Fifi, fashion or both then this is the book for you! What Shall I Wear Today can be found on Amazon, although under a slightly different name and The Hunger Games from The Book Depository as well as all good book stores. *Side note: I cannot stand Twilight. -Book cover artworks sourced from The Book Depository. -Excerpt of What Shall I Wear Today from Google Images.